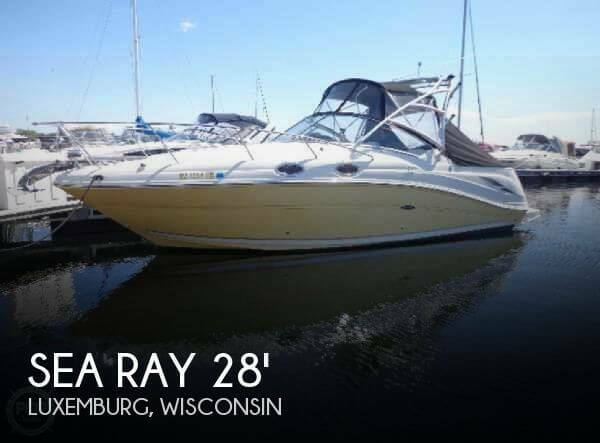 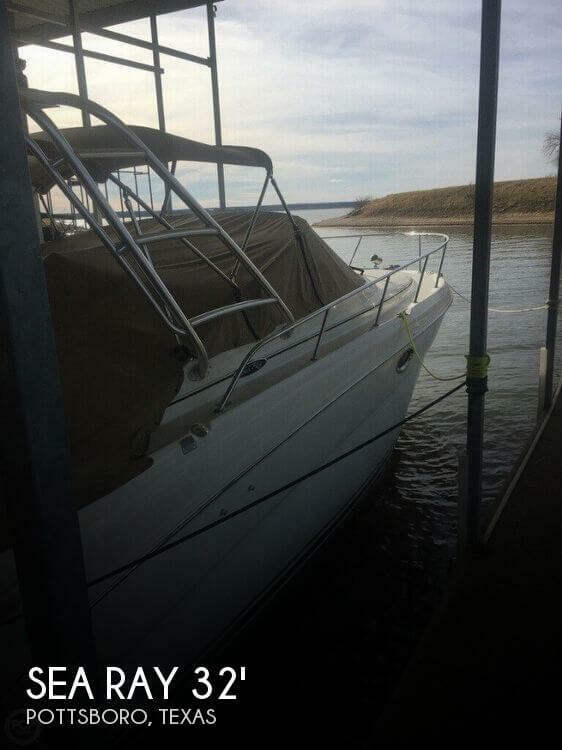 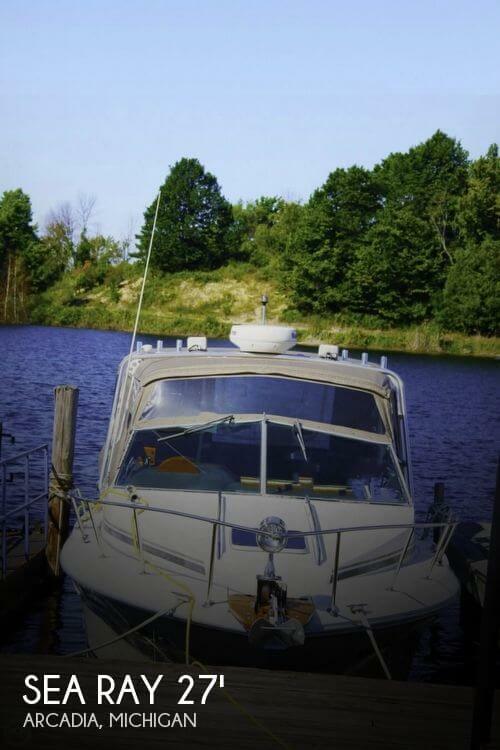 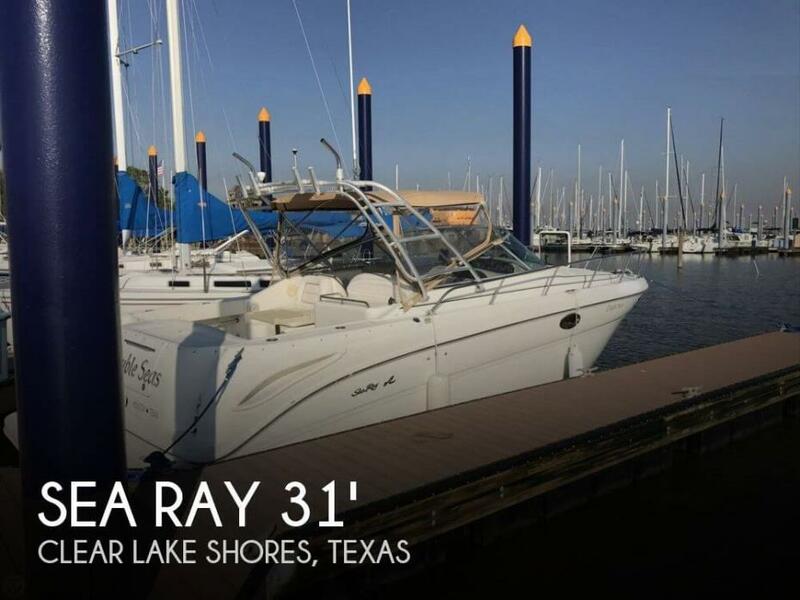 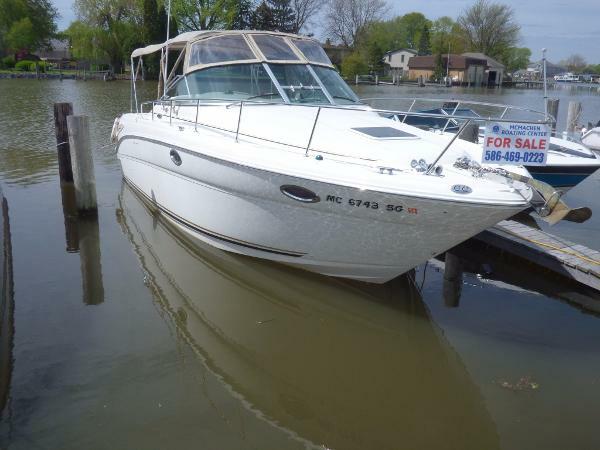 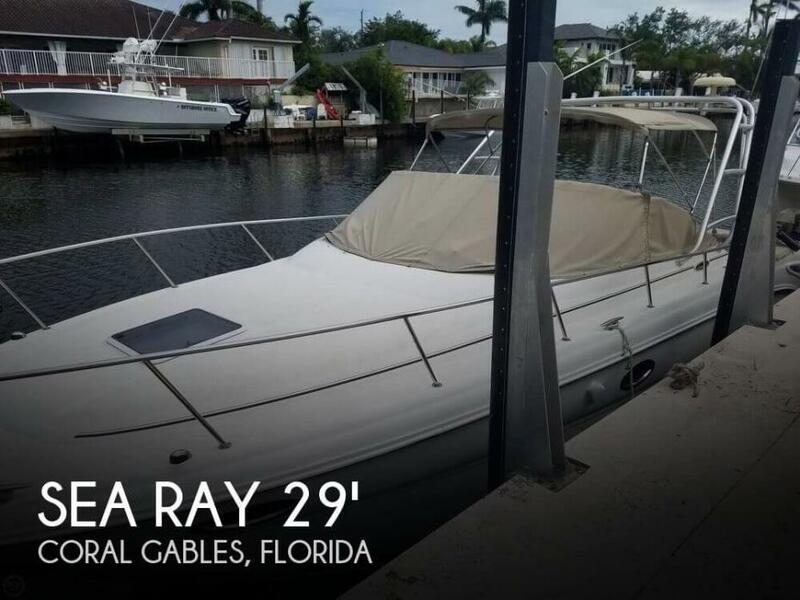 2001 Sea Ray 29 AMBERJACK This 2001 Sea Ray 290 AmberJack is a fresh water, original owner, Michigan boat. 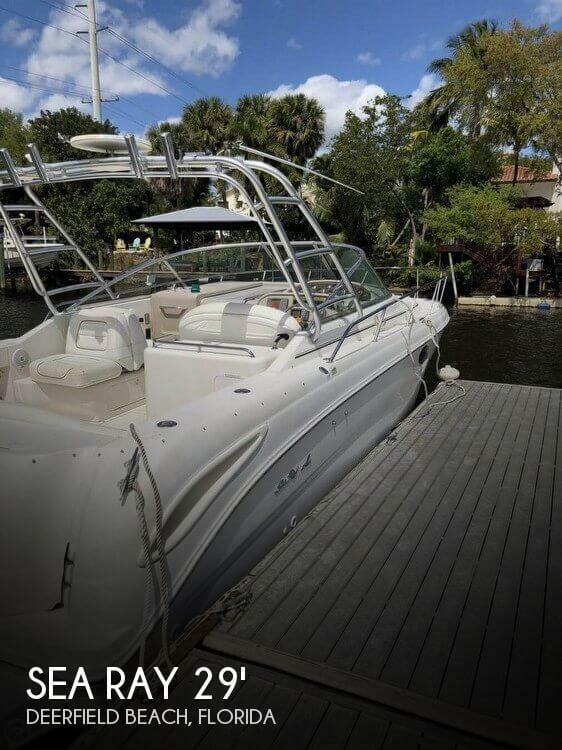 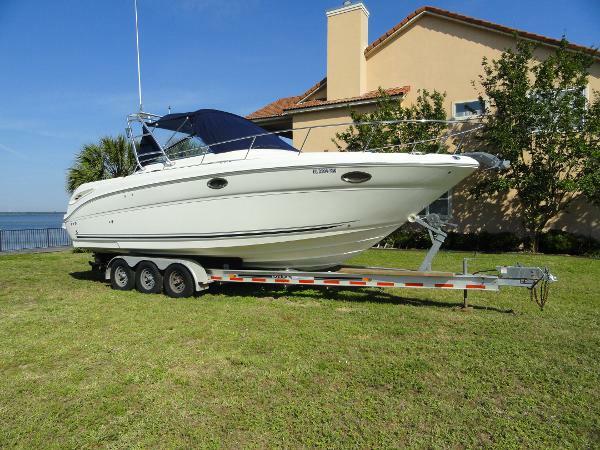 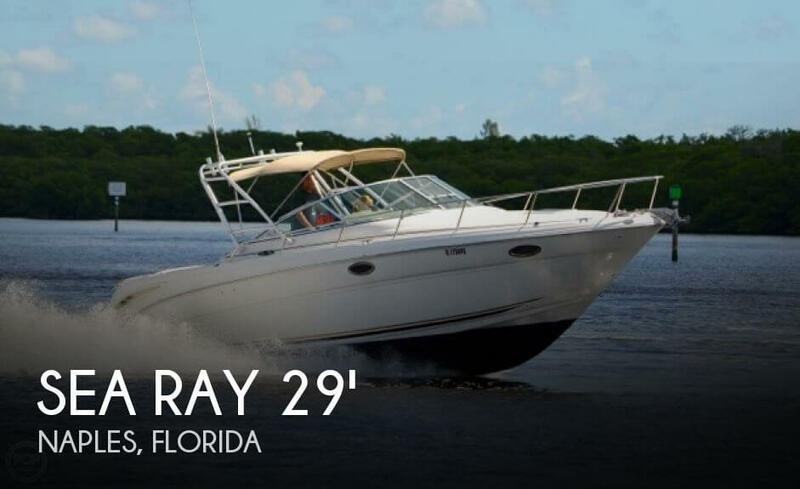 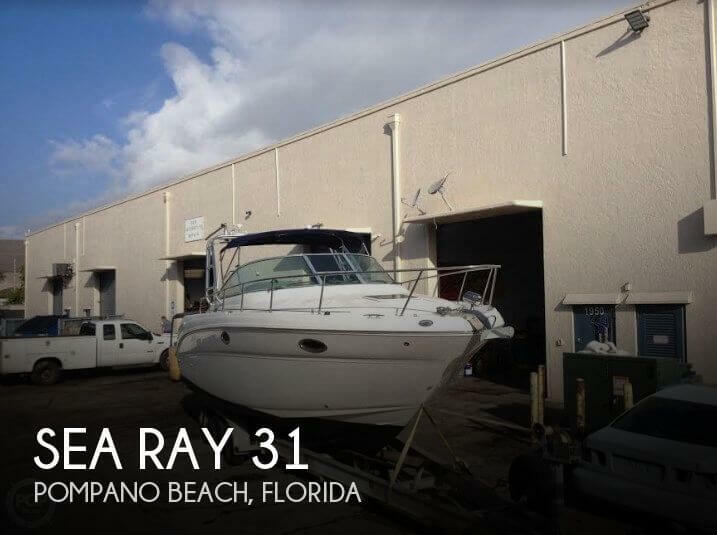 Lightly used by local yachtsmen, this Sea Ray 290AJ is fit with Twin 5.7 V8 Mercs, Bravo 3 drives and under 300 hours! 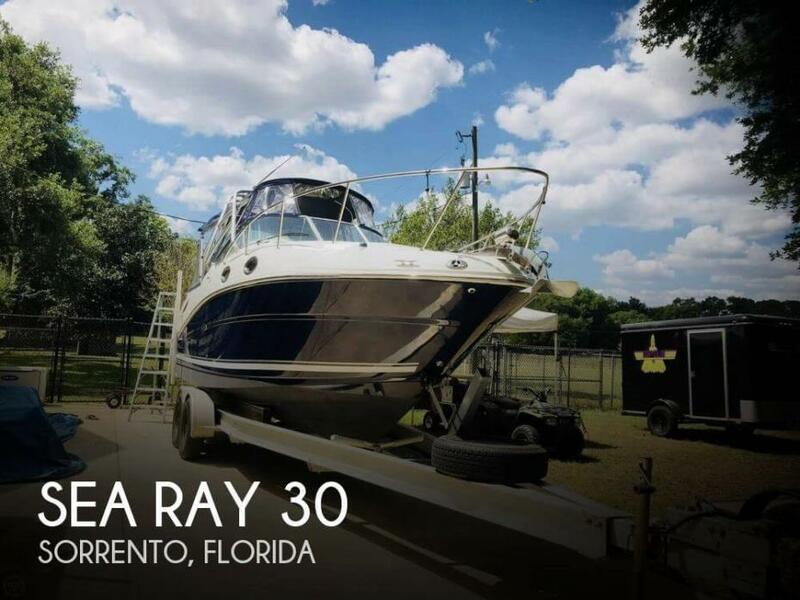 Other features include Digital SMX air and heat, vacuum toilet, Garmin GPS, VHF radio, stereo with disc changer, black and gold package on aft seating with dark tan gelcoat dash, aft deck carpeting, new full camper canvas, and a pipe radar arch. 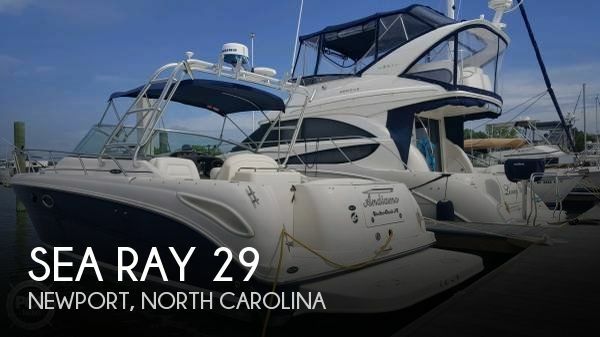 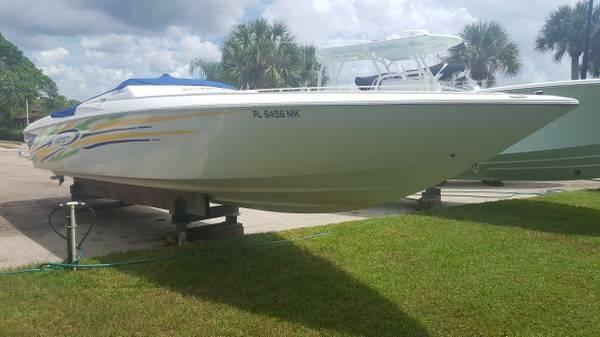 Ready to fish or cruise this 290AJ is the boat to buy!